Good morning, Word Nerds! Last week’s Word of the Week (WOW) was solecism. The daughter says that studying for the GRE taught her the meaning of solecism. She thinks it means “a grammatical error.” Merriam-Webster Online: a mistake in speech or writing –OR–an impolite or improper way of behaving. So, the money spent on GRE study materials paid off! Conclusion? I didn’t study enough for the GRE. What’s your guess for pandiculation? Tell me by posting a comment below! Good luck! Wednesday’s Post: What does styrofoam have to do with building a log cabin? You are invited! On Saturday, June 4th, 2016 we will have a log-raising event at our lakeside lot in eastern Texas. If you are interested in watching the logs go up, please go here to let me know of your interest and I’ll email you details. In the last Log Rhythms post I wrote about our process to determine who would supply the logs for our lakeside cabin. I named the “finalists” by letters in an effort to “be kind” to suppliers who didn’t meet our requirements and needs. Supplier E was significantly cheaper and specialized in square cut logs (which is what we hoped to use.) They build traditionally, meaning that one has to give serious thought to where pipes and wiring needs to go so that the logs are drilled accurately for these necessary items. All those who have never heard of examen, post a comment! Until HeartPaths I had never heard the term examen (Merriam-Webster says examen is pronounced ig-ˈzā-mən, although I have heard it pronounced like the word examine, too.). It is a prayer practice initiated by Ignatius. If I had to guess, most Christians do an informal version of examen without realizing it. While there are countless ways to do it, the essence is this: Review the previous day and find the underlying meaning of the day’s events. Do this every day. Most contemplatives would say that examen is the most important prayer practice. Thus, my next year in HeartPaths will be focused on doing examen daily and reflecting on what I’m learning. 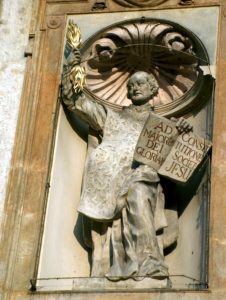 Ignatius also created other spiritual exercises and I will also be doing those. Don’t ask me about these, since I won’t start them until this fall! Good morning, Word Nerds! Last week’s Word of the Week (WOW) was septentrional. Merriam-Webster Online says that septentrional means: northern. (And that’s probably why septentrional is the bottom 20% of words currently used by English-speakers!) It refers to the septentriones, which means the seven stars of Ursa Major (the Big Dipper) and the Ursa Minor (The Little Dipper). Since these constellations are normally in the northern sky, septentrional became known as northern or the north. That’s your astronomy lesson for today! What’s your guess for solecism? Post a comment below and let me know what you think! Happy 4th Anniversary to the darling daughter and her hubby, aka, the DSL! Hope you have a joyous remembrance of that lovely Texas day 4 years ago and a fun celebration! The MaryAnn In Progress May 2016 Book of the Month is Christian Meditation by James Finley. Finley studied under the much-vaunted (at least in the “spiritual formation/discipline” circles) Thomas Merton. 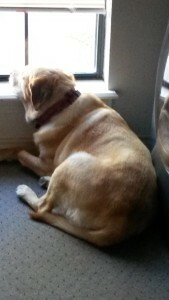 Thus, Finley has authored a book with a great deal of insight from Merton. I read this book when we were studying Breath Prayer and Centering Prayer. 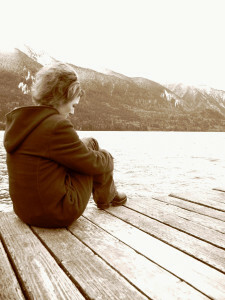 Both forms of prayer are difficult for someone like me, who tends to be a thinker, analyzer, and processor when praying. Both of the aforementioned prayer styles are about emptying your mind as much as humanly possible and allowing God to interact with us in whatever way He wishes. It’s an amazing coincidence that I’m now to the point in the “prayer exploration” journey here on MIP where it’s time to discuss Body Prayer and today is the 17th anniversary of the day I had my first heart attack due to Prinzmetal Angina. It may be more than coincidence. Body prayer consists of a whole list of prayer practices involving the movement of your body to facilitate new ways of understanding God and communicating with him. In HeartPaths we moved our hands for one prayer time; walked a labyrinth in another; prayed the Lord’s Prayer accompanied by certain postures for certain phrases of it; and examined pictures of ourselves growing up to learn more about Body Prayer. While each of these was new to me and each was meaningful, I became fascinated with one practice that demands a little explanation. For those not familiar with labyrinths, they are NOT mazes. Mazes are designed to trick the human mind; labyrinths only have one path that leads to the center of the labyrinth and then another path or the same path back out. It simply has a lot of turns in it similar to a maze. 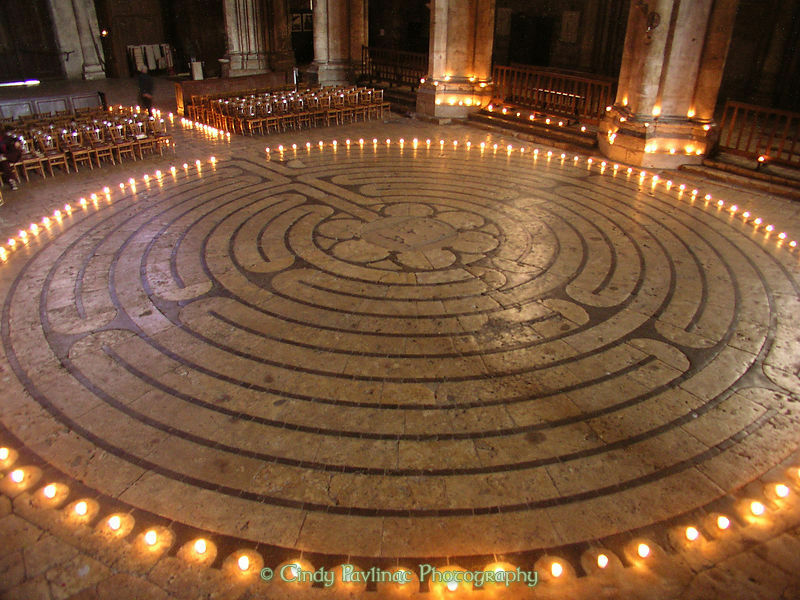 Labyrinth walking has been around for centuries and the most famous is in the cathedral at Chartres, France. Many new labyrinths are patterned after that one. Labyrinth paths are now being painted onto canvas so that churches can simply roll them up and put them away when not in use. 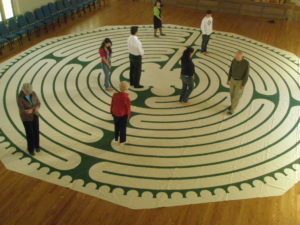 Some churches lay them out during Lent and Advent and may even play music in the labyrinth area. Labyrinths can also be found outdoors. One that fascinates me is one where the path is marked by field stones. 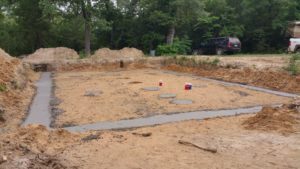 I’m already getting ideas in my head for how to incorporate a field stone labyrinth into our lot at the Reserve! First Presbyterian Church in Fort Worth, TX (FPCFW) is building an outdoor labyrinth in a new meditation garden. This is exciting since FPCFW already has two canvas labyrinths that are maintained and furnished by a “Labyrinth guild.” The labyrinth guild members even undergo training about the use, preparation and care of the labyrinth. For instance, the day we walked the smaller of the two labyrinths at FPCFW, the room was dimly lit and simple votive candles were dotted around the room. Chairs also bordered the labyrinth at various points, enough for each person about to walk the labyrinth. In addition classical music softly played in the background. A member of the labyrinth guild read an introduction and gave some simple instructions about labyrinth walking. As people walk the labyrinth, a few of the labyrinth guild members sit off to a side and pray for those walking the labyrinth. For instance, outside the entrance of the labyrinth was a round table with a larger center candle lit and some unlit votive candles. We were told to sit in the chairs and prepare our hearts for prayer. When we felt led to begin, we moved to this round table and lit an unlit votive candle from the larger center candle. Then we formed a line at the entrance of the labyrinth and waited until the person ahead of us had reached a predetermined point in the labyrinth. We were given instructions on how to work around people obstructing our path and what to do when reaching the center of the labyrinth. Most of us stepped to one side of the center and prayed a bit before heading out of the labyrinth again. When finished walking the labyrinth, we were invited to take our lit votive candle back to the circle where we journal about our prayer experiences and continue praying until all had gathered in the circle. The entire walk was meaningful for me as well as the other Body Prayer practices and I realized I have a rather large “disconnect” between my body and soul and that’s another “sermon” for another time, but if I hadn’t tried all of these practices, I probably wouldn’t know that about myself and it wouldn’t be transforming who I am, body and soul, at this time. Perhaps the longest lasting lesson from Body Prayer is that all I do with my body can be an offering to God if I just slow down and remind myself to do that. Literally walk with the Lord today and see if the “pathway” becomes a bit clearer. Good morning, Word Nerds! How are you today? Last week’s WOW (Word of the Week) was retronym. The definition of retronym, according to Merriam-Webster Online is as follows: a term consisting of a noun and a modifier which specifies the original meaning of the noun. For instance, a film camera is an example of a retronym and there are even web sites dedicated to retronyms. Who knew?! What’s your guess for septentrional? Submit a comment to this post to let me know! I am tuckered out. Still. Last weekend was weird. I got in the Dad person’s big white animal with rollers for legs (I think they call it a car???) and went with him to the place with the big water bowls. He didn’t make me stay or anything when I got there, but then he pulled out this really loud, scary thing that cuts down the homes of the winged invaders and it makes a LOT of noise. I decided to stay in the back of the car where it was safe. Later, we went to the big house near one of the water bowls and I kept trying to go down to the water bowl, but the Dad person wouldn’t let me. I had to drink out of one of those shiny little bowls and it didn’t taste like my domicile’s water. Those shiny things must make the water taste funny and if so, it’s probably not good for me. I had to stay in my travel cave at night and I didn’t like that, either. The good news is that on the 2nd day, the Mom person showed up and she and I went for a walk. She is really slow when she walks, probably because she only has two legs. I had to keep waiting on her to catch up to me. It was a pain. I mean, I DO have to check out all the animal smells within a 4-mile radius–that IS my job and she was not helping with her pokey walking AT ALL. I did like the last part of the weekend–she and I rode in her blue car (It’s much bigger and I need the room.) and we stopped at various spots on the place with the big water bowls. What’s good about all of these spots is that each one is right next to a big water bowl. Unfortunately, there’s a lot of really tall green stuff between me and the bowls and I wasn’t sure I wanted to walk through there. Thankfully, the Mom person helped me find a place where there wasn’t too much of the tall stuff and I finally got to check out the water in the big water bowls. It tasted funny, too, but I was so hot and tired, I no longer cared. After several stops, I got brave and tried to get to the water bowl myself. But the Mom person didn’t warn me that the walls of the bowl could be slippery and all of a sudden, KERSPLASH, I was IN the water bowl. That surprised me and it got all my fur wet. At first I didn’t like it, but then I realized that I didn’t even have to lower my neck into the water bowl. If you’re in the water bowl, the water is at chin level! It’s very convenient. Also, if you’re in the water bowl, I don’t pant as much afterwards. I do shake out all the excess water, though. Preferably near the Mom person so she doesn’t pant as much, either. She didn’t seem to appreciate my helpfulness. I don’t know why. She’s weird. Even with all my visits to the big water bowls, I was still hot and tired and I really slept hard afterwards when we started heading for my domicile. In fact I was sleepy the next day, too. I was fine with this arrangement until the big booms in the sky started up again. Those big booms in the sky usually lead to my yard being wet, too, but I don’t like drinking water that comes from the big booms. I mean, what if it booms at me while I’m drinking it??? 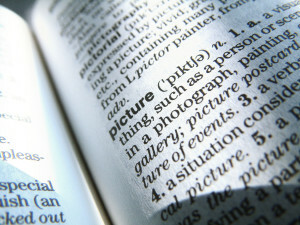 Monday’s Post: Are you a Word Nerd? As a master’s level psychology student, various classes required that we practice visualization. Visualization is meant to help people handle anxiety. The premise is that you close your eyes, relax, and visualize a pleasant, peaceful scene. The scene is supposed to cause you to calm down and deal with what caused your discomfort more easily. I, for whatever reason, seldom got much out of such exercises. Until now. 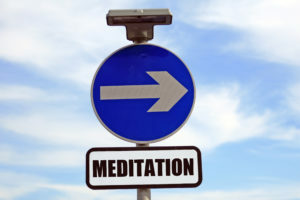 Enter guided meditation. In guided meditation group members are asked to place themselves inside a scene as described by the facilitator. The facilitator is always conscious that certain scenes may not be helpful for all; we have experiences that make us fearful of some scenes. Thus, the facilitator always gives people the option to create a different scene for themselves. What’s your guess for retronym? Submit a guess below this post!